The You Maxi model is made to be worn way beyond the beach. It is a sophisticated and innovative model that is also extremely comfortable. It is available in four vibrant colour adorned with metallic accessories on the straps to give them a touch of glamour which you can combine with any kind of outfit. It's the perfect option to go anywhere whilst keeping an air of summer about you! -Made in Brazil. -Material: rubber sole. 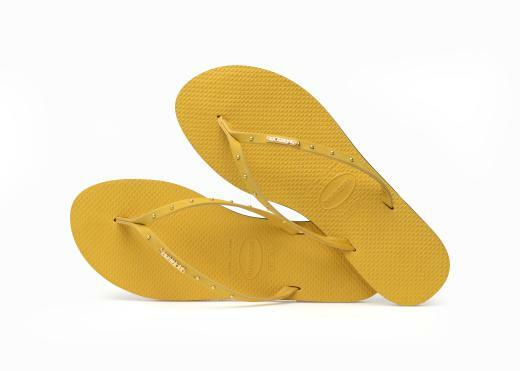 -Benefits: Comfortable, durable, lightweight, heat-resistant, non-slip and water-resistant. -Description: Greek key pattern on strap, rice grain pattern on footbed, brick pattern on outer sole. Sole: 1.5cm.